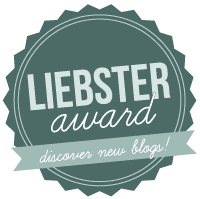 Thanks so much to my girl Sylvie Little Corp Goth Girl for nominating me for the Liebester Award, it means a lot! Also, she’s been supporting me from my earliest blogging days! 2. Thank the blogger who presented this award and link back to their blog. 3. Write 11 random facts about yourself. 4. Nominate 11 bloggers who you feel deserve this award and who have fewer than 200 followers. 5. Answer 11 questions posted by the presenter and ask your nominees 11 questions. 1. When and why did you start blogging? This January. I always knew I wanted to do something with fashion, but since I can’t draw, design studies were not an option. So I decided to study business and maybe have some side-profession/hobby in fashion. I was on various social networks like tumblr, instagram, pinterest, but none of it can compare to a real blog. I do have a talent for writing as well, but I’m still self-conscious about writing some personal stuff. 2. With MP3s and internet streaming, do you still buy CDs or DVDs? To be honest, where I live, I never could find the bands I like, and ordering online is also not an option, so I download music. I remember when I was like 11 I was so excited to find a Bush CD in Belgrade! 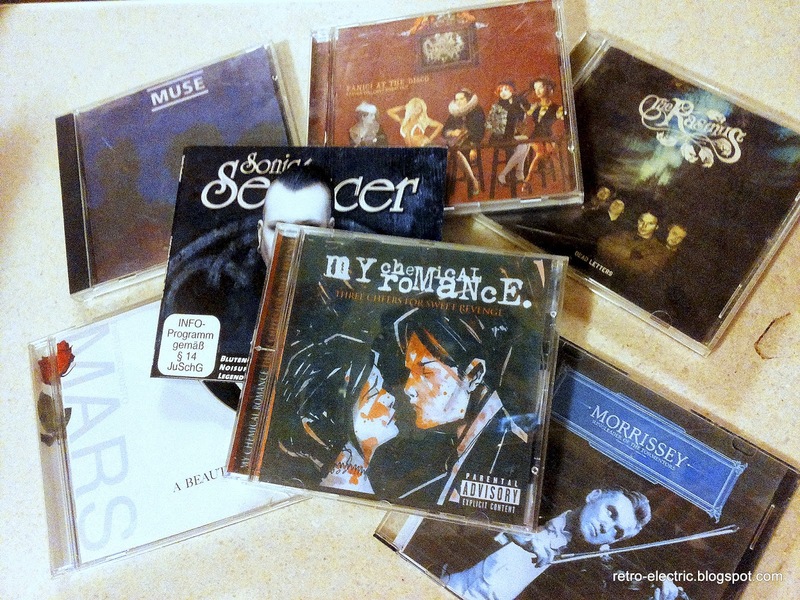 The last CD I bought was probably 30 Seconds to Mars back when I was in Canada. I do love nice artwork and lyrics in the physical copy! 3. How would you describe your style of dress? 4. What religion or philosophy do you ascribe to? I believe in some higher power, like the Universe, but I’m not sure what to call it. I believe in the afterlife, angels, tarot, astrology and all things metaphysical, I think it’s a sign of an open mind. 5. What are your favorite TV shows on the air right now? Idk… I don’t watch TV, but I can never get tired of Ghost Whisperer, guilty pleasure! 6. What other hobbies do you participate in, besides blogging? 7. If you participate in the arts, which ones do you participate in? Are you a hobbyist or a professional? If dancing is an art then yeah, I’ve been practicing various kinds of dance for 6 years now. 8. If a movie was being made about your life, which actor/actress would play you? I don’t like actors, maybe Gwen Stefani or Courtney Love xD Or Lady Gaga of course! 9. Choose one: Coffee or tea? Coffee for sure, tea is only flavoured water to me, I only like chai latte! 10. What colors have you dyed your hair? 11. Introvert, extrovert, or ambivert? I do like going out more than most people and expressing my feelings, but I don’t like large groups of people and public speaking, so I guess ambivert? 1, My fave band in the world is German darkwave band Diary of Dreams. My fave concerts were Metallica (first), My Chemical Romance and Rammstein (last). 2. I enjoy beautiful words more than anything and lyrics are extremely important to me. 3. Two years ago I lost the person I loved the most to cancer – my Mother, and I still can’t believe this happened to me and I’m not sure life will ever make any sense again. 4. I either like extremely depressive music or upbeat dance music – nothing in between! 5. I’m obsessed with fashion in a way that’s probably not normal. When I see an outfit I like I have to either take a picture of it or remember it and then recreate it on Polyvore! I also do screenshots of videos. 6. I hate modern day values and conformity more than anything. I avoid Facebook as much as I can. 7. I had a scholarship for one year in Vienna and it was the best time of my life. I wish I could go back there, if opportunity arises. 8. I travelled most of Europe, Canada, Egypt and now the Emirates. 9. I speak Serbian, English and German well, I also studied Latin for four years. I was the best student in class both in elementary school and high school. 11. I was teased about my fashion style in school, but I never changed and conformed! THE QUESTIONS FOR MY NOMINEES WILL BE THE SAME QUESTIONS I HAD TO ANSWER! <3 ENJOY AND THANKS FOR READING! Do you want to be different? Awww I am sorry about your mom. My dad passed away too when I was pretty young. Stupid cancer. Thanks for participating! It was interesting to get to know you better! I discovered your blog yesterday, from the 'Bien Aimee' blog, and I really like it. I know it's sad losing your parents, it happened to me too. Since then, I try harder to do the things I like and be successful in my life, to make them proud. I think we have the same sense of style too, and I agree, songs' lyrics are more important than the music. Be careful, it's not safe to deal with metaphysical stuff. Thanks for nominating me I am a bit behind on my blog due to my cold but I will do it eventually! I love fashion too! One of my friends was shocked at the amount I could dissect someone's entire outfit while walking down the street, I just pretty much analyse everyone's clothes as I walk along and try to memorise any good aspects that I could add to my own style, sometimes I draw sketches or write notes if I have time.